The irony wasn't lost on me that while I'm sitting in the middle of a Social Media Conference, Brad Plumer and Chris Nelder would team up to drop a Peak Oil story at noon on a Saturday, forcing me to switch gears, put on my ASPO-USA hat, and leap onto social media to promote the story. More about Chris Nelder's interview later, but for now I'll just say that you should read it immediately. 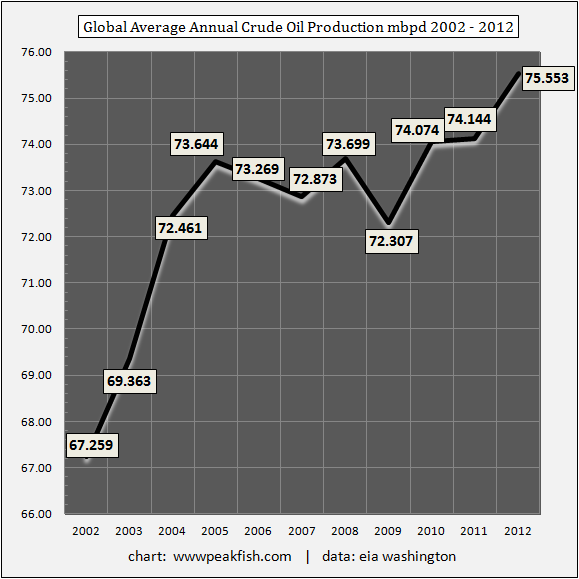 It's the most significant Peak Oil story in the media so far in 2013 - something worth celebrating. But when this is the most significant story of 2013, and it really is just a simple interview, that's also a sad reminder of the rarity of proper coverage of Peak Oil in the media.